A podcast about all things Macintosh. For Mac geeks, by Mac geeks. Show 174. The British invasion of “Get a Mac”. iTunes movies coming to EU, well… iPod Shuffle is now more colorful. Apple 802.11n Enabler now available. Apple pays bloggers legal fees and then some. Creative reports big profits, thanks Apple. New Intel tech to boost Mac performance later this year. Vista EULA may be trouble for Mac owners using Parallels.Tip: Better control of ExposÃ© hot corners. Backup your iTunes purchases, please. iTunes phone support number revealed. Making and recording phone calls with your Mac. iTunes using another language, how to fix it. New music, Come on Let’s Go by Sound of a Revolution. These drives are very highly acclaimed with a Macworld 4 Star rating, MacSola and Photoshop User ratings of 5 stars, and a MacAddict Editor’s Choice award, along with accolades and awards from many other publications. They are very small, portable, and 100% bus powered. As stated earlier by Apple and other online sources, the controversial Airport Extreme 802.11n Draft Specification Enabler is now available for download from the Apple Store, for $1.99. There are no details or reports yet on which third-party n-branded routers work with the Macs that have the enabler installed, but those reports are sure to come in the following weeks. I have a podcast that includes an interview almost every week. None of those interviews have been done face to face and some of them have not even been done from the same continent as the interviewee since my show is a travel show. I record all of my interviews using Skype. Sometimes I am doing a Skype to Skype connection or sometimes I am using Skype out to call a normal phone number. My hardware setup is a headset microphone (Plantronics) and a laptop. I do not have an external mixing board. One of the problems I have had is that if I don’t set the sound levels correctly balancing my sound level and the guest’s sound level then I can create a lot of extra work for myself in post production. In the worst case while the guest is speaking I am doing my Darth Vadar breathing because my sound level is two high relative to the guest. At MacWorld I picked up a new program that helps solve this problem: Call Recorder from ecamm network. Call Recorder installs itself in Skype and allows you to record a Skype connection or call but to put each side of the conversation on a different track. So later on when you are editing the conversation you can change the volume of the two tracks independently. Editor’s note: This PR came in from OWC and I am a huge fan of their products and service. That said, I am traditionally not a big fan of Maxtor drives. They were recently purchased by Seagate (who’s products I love) and these Quickview drives are brand new, plus backed by a full 5-year Seagate fulfilled Maxtor factory warranty. So, when you add the awesome prices, OWC sales and support, and a Seagate backed warranty, these drives may be worth at least looking into. Recently we talked about the TiVoDecode Manager which enables Mac users to download television shows recorded on TiVo over the home network. Now Roxio with its latest version of its award winning CD and DVD burning software, Toast 8 Titanium, has decided to try its hand at it. The difference is Roxio is officially endorsed by TiVo to provide this TiVoToGo solution for the Mac. 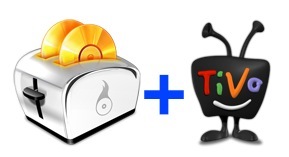 For this review, I’m only going to focus on the TiVo Transfer side of Toast 8 Titanium, but will take a look at the rest of the application in a later post. If there are specific questions you might have about Toast 8 that I should address in later posts, please leave a comment below. This is an old ad for the original Apple Lisa, and yes that is Kevin Costner. A podcast about all things Macintosh. For Mac geeks, by Mac geeks. Show 173. Apple first fiscal quarter 2007 results, Jobs not out of stock options woods yet. Apple charges 2 bucks if you want 802.11n. Norway says iTunes DRM is illegal. Apple Security update 2007-001. Apple Store loses 42 iPod Nanos to thieves. Apple planning a Super Bowl event? Best upgrade? More Memory. More than 2GB of RAM in a Core Duo? Cracked Macbook made new again. The pre-AppleCare checklist. Review: Slingbox TUNER. Thanks to Alex Lindsay and Pixel Corps. Where to buy Samson products. There is a huge new update to the award-winning application EarthDesk. EarthDesk is a program that lets you replace your normal desktop with a 3D map of the world that shows current sun, moon, and city illumination as well as real-time global cloud coverage. This software is sort of like having a screensaver for your desktop background combined with Google Earth. With this latest update of EarthDesk it becomes a Cocoa application and has moved from being a stand-alone application to a Preference Pane. It has an icon in the menu bar for quick and easy control of EarthDesk and the user interface has received a complete overhaul. EarthDesk is $19.95 and can be found at http://www.xericdesign.com. Upgrades are either $9.95 or $12.95 depending on which version you have. I find dealing with money boring, but at the same time if I have a spending spree my online banking access is not always bang up to date. This can sometimes cause me a problem, as I have all my fresh shrunk wrap purchases on the table, but don’t know if I have enough left for a steak ‘n’ chips or if I will have to manage with cheese on toast. This is where Cha-Ching steps up to the mark. This superb money manager from Midnight Apps promises to breathe some fun into managing your money. Well, the title gives it a good start, as do the icons within the app. Everything has a feel good factor. Most of the time the app is split into a three pane view. The vault on the left gives you quick access to your paid and pending transactions, as well as an account list. Setting up an account is easy, you name it, assign a bank name to it, starting balance, and type of account. You can choose from checking, savings, credit or online. There is even space to enter the URL of the bank, which can then be viewed at any time using the ‘online’ tab, instead of having to go into your internet browser. Within the aptly named ‘Vault’ you can also set-up budget accounts, along with folders and smart folders for organizing and sharing across a network.